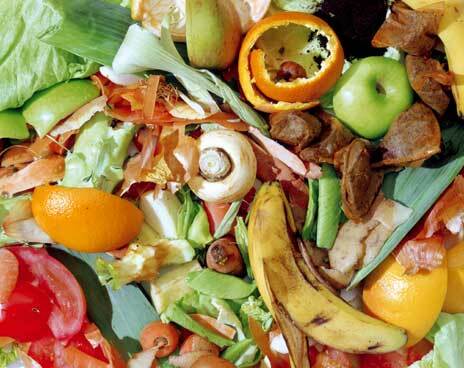 According to WRAP we throw away more than 7 million tonnes of food and drink every year. It estimates that the UK Hospitality sector (hotels, pubs, restaurants and quick service restaurants) could save £724 million a year by tackling food waste. Clearaway Recycling and Waste Management provide dedicated food recycling services across Worcestershire, the Black Country, West Midlands and Birmingham. We provide easy to manoeuvre 240l and 360 litre wheelie bins emptied on a regular collection schedule. Ideally there should be no packaging in the food waste and definitely not in black plastic bags. Food waste from catering outlets in clear non-bio bags is acceptable. The food waste is delivered to an Anaerobic Digestion plant which through natural biological processes breaks down the food waste to generate a gas which is used to generate energy.